Can Rocket German Help You Learn German? Find out Here! Can Rocket German Help You Learn German? Rocket Language's Rocket Express Learning System German program claims to help you speak And understand German like a native all in a short time frame. So does this program deliver? We take a closer look here. Learning German is a very daunting proposition for many people, especially if you are focused on the written word. The German language can be somewhat confusing in its written form, with extremely long words and conjugations. With many, busy schedules and the high-costs of personal language tutors or classes can keep people from progressing in their language learning journey. Therefore, if you are focused on learning German for travel, business, or to fulfill a life goal, then a program like Rocket German may be able to help you. Not only will you have a better understanding of what real Germans are saying, but you will also feel significantly more confident in carrying on a conversation in your new language. 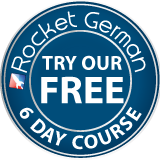 Rocket German is a well-respected and very popular program for learning how to speak German. Unlike other language learning programs, this does not require you to spend time in the classroom, nor do you need to focus on reading and writing. The whole point of the many Rocket language programs is that you will learn quicker by focusing on listening and speaking, without having to deal with reading and writing. Of course, you can work on the written word later on, but in order to start understanding German and speaking it, you will need to practice verbal skills. How Does This Language Learning Program Work? When you make use of a Rocket German language course, you will be able to pick up vocabulary right away. Many people find that within the first lesson or two, they are able to utilize basic German phrases and understand some of what fluent German speakers are saying. Since most people have an interest in carrying on conversations in German, rather than just reading the language, this kind of program is very beneficial. Rocket German uses a number of different methods for teaching the language, including tests that you can use every step of the way. This will help to keep you motivated and also identify areas in your knowledge that you will need to work on. These include listening to German speakers and determining what they are saying, using basic German phrases, and carrying on two-way conversations. Another focus of the Rocket German program is that it will help you to improve your pronunciation. In order for you to become a better German speaker, you will need to hear how you sound speaking Spanish, and compare that to what a real native speaker with sound like. The Rocket German program allows you to record yourself and compare in real time, which will help you to adjust your pronunciation. What Do Real People Say About Rocket German? Because German has a reputation for being somewhat difficult to learn, it is not surprising that the program like Rocket German is so beneficial. 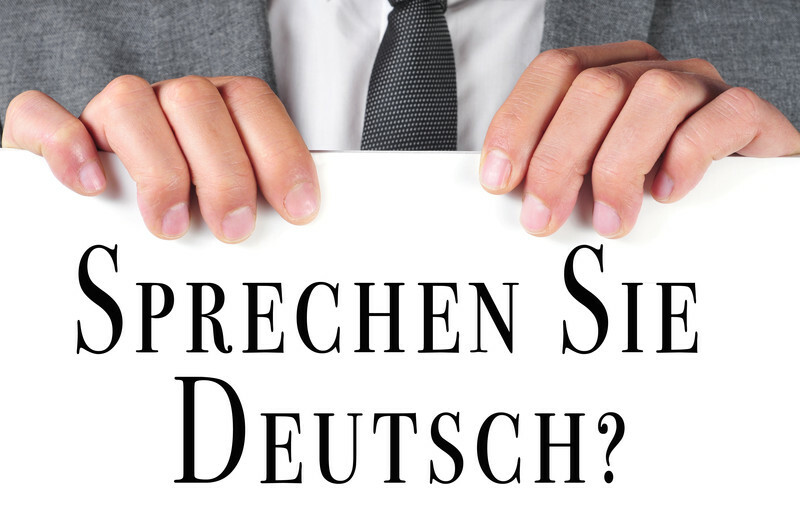 Because it focuses highly on pronunciation and accent, it makes learning German much easier. At around half the price, the downloadable, online version is cheaper and is sufficient for most users who simply want to download it on their iPhone, iPad, or Android device for on-the-go listening. The physical version is essentially the same but provides you with 20-CDs for convenient listening in your car on the way to work or driving home. Both offer access to their revolutionary learning tools to turbo-charge your language-learning. Whether you are looking for German language skills to speak to German friends or you are planning a trip to Germany, Rocket German can help you to get more of the language under your belt is quickly as possible. Where Can You Order Rocket German? One of the things that makes Rocket German so unique is that you can either make use of the downloadable files or you can order the set of 20 CDs and have that sent to you. In either case, you will begin speaking and interacting with a native, fluent German speaker and also be able to record and evaluate your own accent. Rocket German comes with a money back guarantee and there is even a limited time six day trial available. This means that you can try Rocket German out for yourself, just to see if this is going to be the most effective way for you to learn the language. Is This The Most Effective Language Learning Program For You? Many people have found that traditional classroom settings are just not for them when it comes to learning a language, and so a program like Rocket German can be very effective. No matter what your background is in German, you can use this method to begin learning conversational skills and increasing your vocabulary without ever having to step foot in a traditional language classroom. It may surprise you to find out just how easy German is to learn and the many benefits you can have for you down the line.